According to the U.S. Census bureau, about 9 out of 10 people will marry sometime in their lives, but about half of first marriages will end in divorce. While some marriages end peacefully, many do not. You will want it to be fair, but divorce accounting is often complex and the detail can be bewildering. CPAs are increasingly being engaged to assist in the divorce process. The parties in the divorce, the attorneys, and the judges are consistently looking for top notch CPA experts for their divorce cases. 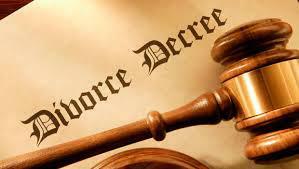 Divorce accounting is an important process in most divorce cases. 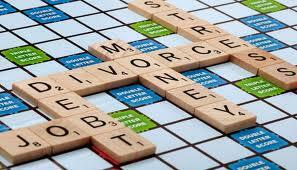 Divorce accounting will help inform both parties of the true financial assets involved. How do you identify each spouse’s earnings? How do you locate hidden assets? How do you determine the separate property versus marital property? What is the worth of a relevant business, especially a closely held business? How do you interpret the mass of data in bank accounts? This is the world of financial detail in which we practice extensively. Working in cooperation with attorneys and mediators. Tracing of separate and marital property. Preparing the marital balance sheets and other financial reports. Calculation of income available for support. Forensic analysis and data analytics to uncover hidden assets and inconsistencies between claims and financial records. Analysis and examination of financial disclosures provided by each party. Investigating for un-reported or under-reported assets and personal income. Identification of options related to division of property. Consulting regarding spousal support (maintenance) and child support. Rebuttal of opposing expert’s report. Post-divorce revisitation of court orders. Consulting regarding attorney malpractice relating to divorce matters. Our efforts help achieve a meaningful financial result for you in your divorce. We examine the finances in detail to establish who’s got what, where it came from and how much it’s worth. By presenting an explicit picture of the finances, we can facilitate a more equitable settlement. Shuster & Company, PC is the group of forensic accounting experts on your side to guide and to advise you throughout the divorce engagement.